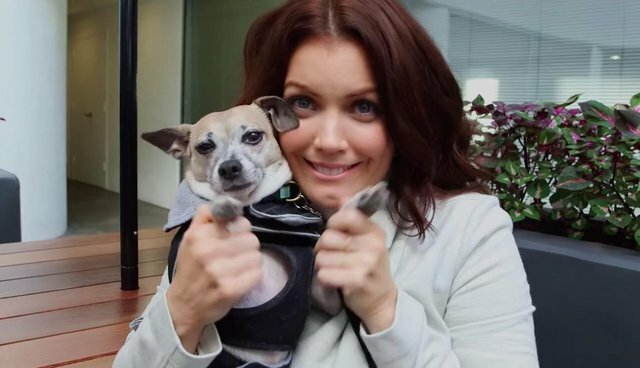 One of the latest HSUS supporters to show her shelter pet love is Bellamy Young of ABC's Scandal, who appears with her dog Bean and her cat Sadie in a lovely new video reminding folks just how wonderful shelter animals can be as companions, and celebrating their presence in her own life. I just love the energy and beauty of her message, and I think it's one of the best videos in the "Meet My Shelter Pet" series. In it, Bellamy reveals so much of herself as a fostering and rescue advocate, and as a strong believer in the mission of our nation's shelters.